This model is one of our bestsellers, with features suiting it to both summer and winter use. “With this model, we're breaking new ground,” says product manager Michèle. ""Its design states its intent. 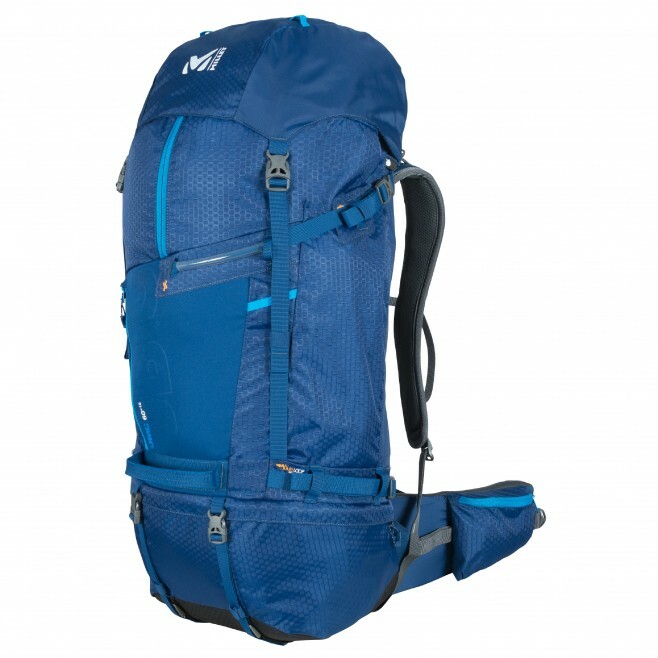 We’ve pushed the trekking-pack envelope feature wise, with holders for an ice-axe and poles – the compression straps double up here.” Inherently savvy, the UBIC 60+10 is geared to versatile performance. “The idea was to devise an innovative, modular system for carrying any alpine equipment item"", says Michèle. ""Personally, I'm a big fan of the novel Variloop system. I can fasten snowshoes on the side and there's also a ski holder.” Choose it for: - its super-wraparound hip belt, well padded and with 3D mesh covering - excellent load adjustment - a back system, which is very easily and finely adjustable - direct pack-front access with a zip on the top 1/3 - and its modern personality, driven by adventure!